Participants and spectators were greeted by perfect conditions at the 38th edition of the largest half marathon in Germany. 36,001 participants were registered. They enjoyed a sightseeing tour through the capital and were cheered on by 250,000 people along the roadside. The race was led by a courageous run by a Kenyan newcomer, which ended in a new course record. Erick Kiptaui only needed 58:42 minutes for the 21.0975 km, while in the women's race Ethiopian athlete Melat Kejeta emerged victorious. Next year the start and finish area will be located to the grand boulevard Strasse des 17. Juni near Brandenburg Gate. All finishers can now find their results from the 2018 Berlin Half Marathon on our website. You can view your intermediate times and print out a preliminary certificate there too. You can also enjoy our foto gallery here. Our Medical Team is currently evaluating the results of the 2018 Berlin Half Marathon. This study is primarily designed to help us prepare and optimize the medical care at future Berlin Half Marathon events. Please give us three minutes of your time – it is in your own interest. The questions on our medical questionnaire for the 2018 Berlin Half Marathon can be found here. It was an amazing Sunday with you! We thank you for millions of smiles, your perseverance, your joy, energy and motivation! You rocked it! We accompanied you on this 21km through the wonderful city of Berlin and took 400,000 photos. You will find your personal photos as well as numerous impressions summarized in your "Foto-Flat" package here. 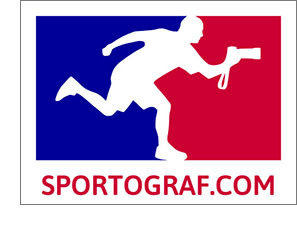 If you have any questions, our support team is happy to help you: info@sportograf.com. Thank you for letting us experience this day together with you! 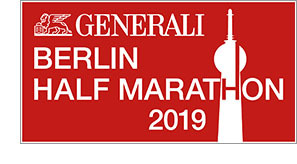 Registration for the GENERALI BERLIN HALF MARATHON 2019 has started. The 39th edition of the international spring classic will take place on April 7, 2019. Click here to get there. There´s an early bird offer for the first 2,100 registrants. You made it! We hope you had a great race running the 38th Berlin Half Marathon and finished to your full satisfaction. We could have not imagined a better start into spring. After the race is before the race and we need to continue our efforts. And because running is more fun in a community we warmly invite you to the adidas Runbase in the heart of Berlin Kreuzberg. Here you are going to meet running enthusiasts and like-minded people. The main focus is on having fun but also the community thought is a big point: You cheer for each other and run for personal bests – whether you are an absolute beginner at running or a marathon-pro. Here you are going to find more information. And the best is that you can find the adidas Runners community global. For now we would like to wish you a great and successful running season. Finished! The heroes of Berlin have left the 21.1 km behind them. Now for the relaxation phase with ERDINGER Alkoholfrei, the sporty thirst-quencher at the finishing line. And then? Simply enjoy the moment and the feeling of pure happiness – with ERDINGER Alkoholfrei in the fruity-fresh flavors Lemon and Grapefruit. The secret: slightly bitter non-alcoholic wheat beer meets the fruity-fresh flavor of sun-ripened lemons and the bitter-sweet notes of juicy grapefruit – topped off by pleasantly tingling carbonic acid. Pure refreshment! What do a wrestler, a hot dog and 42 km have in common? Record potential! We see them again and again, the colorfully disguised combatants on the race track, who don't seem to be satisfied with normal running gear. From fancy dresses as various foodstuffs to animals and well-known cartoon characters, everything is included — for the special pleasure of the audience, which cheers particularly loud when those runners pass by. Many people just do it for fun, but some of them aim for ambitious goals with their costumes: a Guinness World Records title. 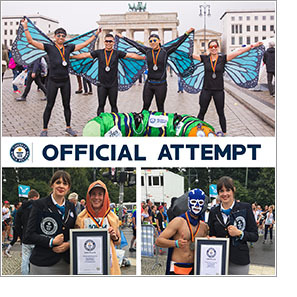 Guinness World Records provides fun runners with the chance to become #officiallyamazing at the BMW BERLIN-MARATHON. Register now. 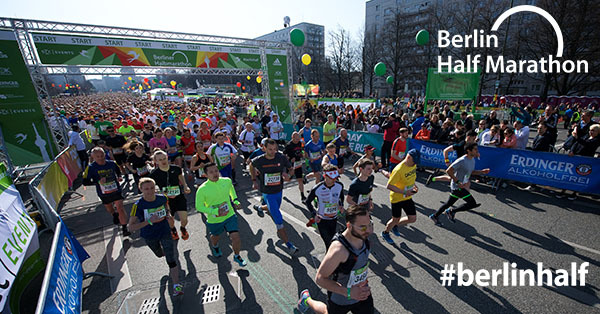 Berlin 2018 congratulates all runners that took part at the Berlin Half Marathon and is already looking forward to come back together at the European Athletics Championships (7-12 August). Due to a high ticket request, additional blocks were opened up at Berlin Olympic Stadium. From now on, there are additional tickets availabilities for block M4. These business seats (catering not included) are located around the back straight and can be purchased for €30 (morning sessions) and €95 (evening sessions). Blocks 20/21 (PK3), 23-25 (PK2-PK3) and 29-31 (P2) have been opened up as well for the evening sessions. Tickets for the grandstand at block E3 which are also business seats (catering not included) are available for €140 (evening sessions). Week passes including all ten sessions can only be booked via our hotline +49 (0)18069990002018 due to limited availability. For more information visit www.berlin2018.info/tickets.